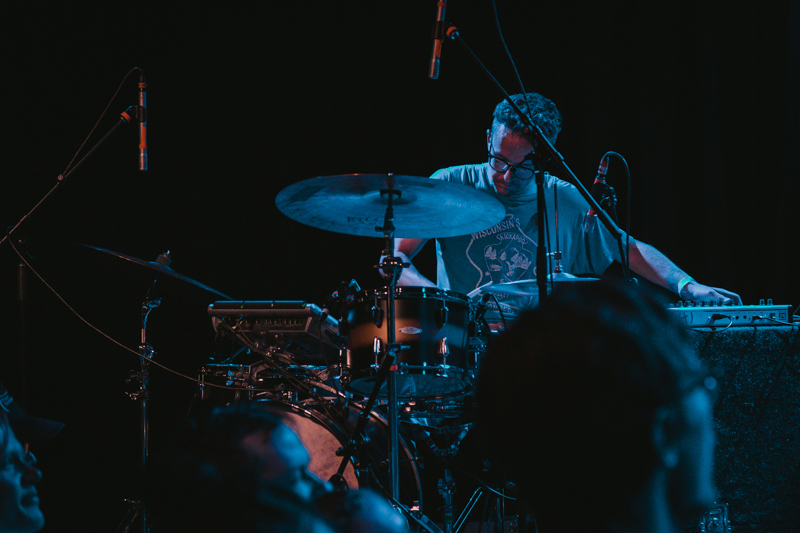 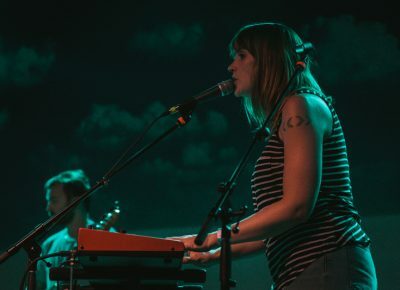 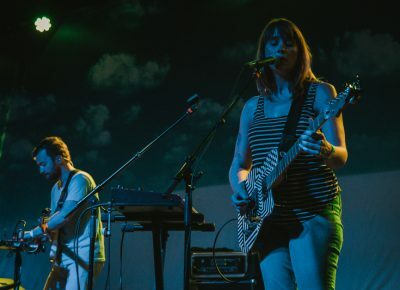 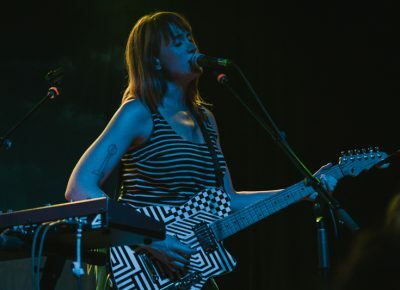 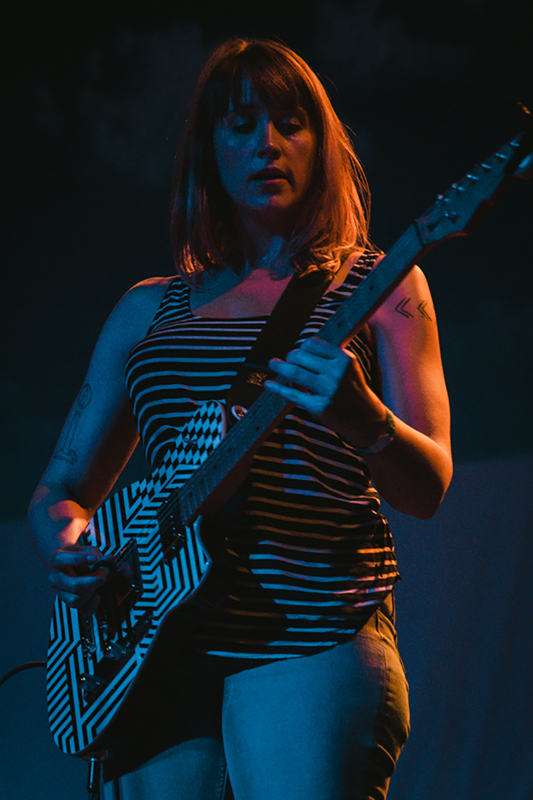 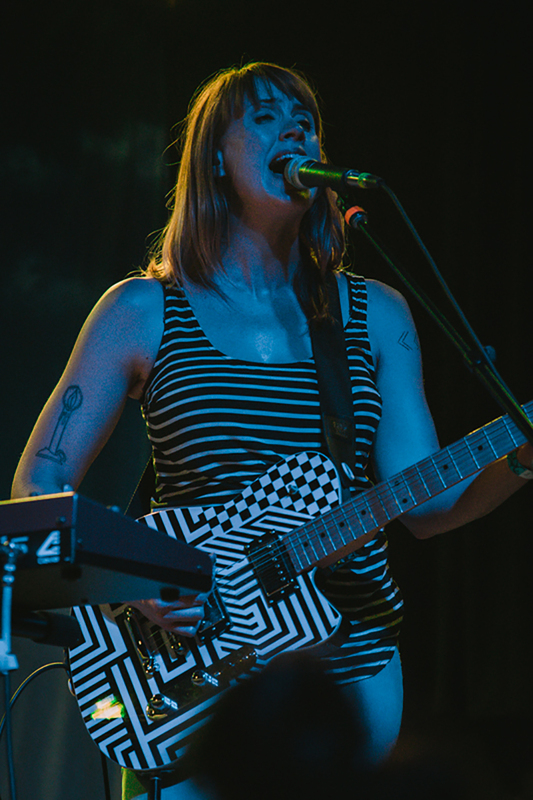 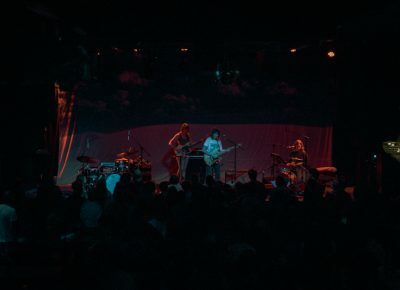 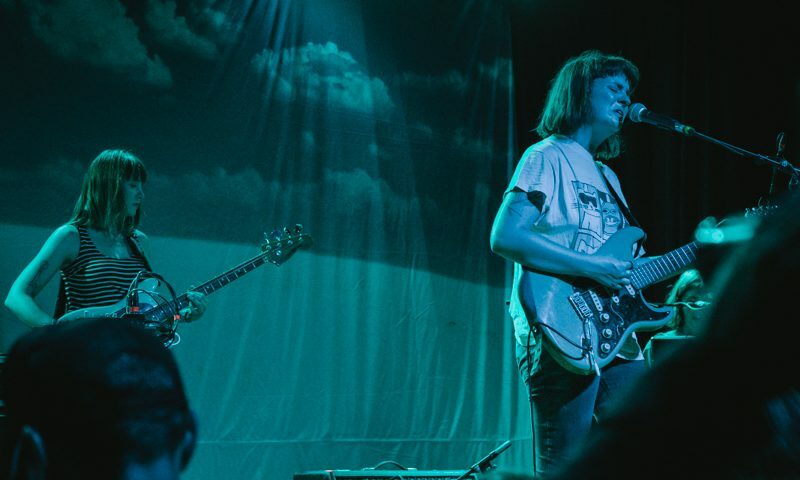 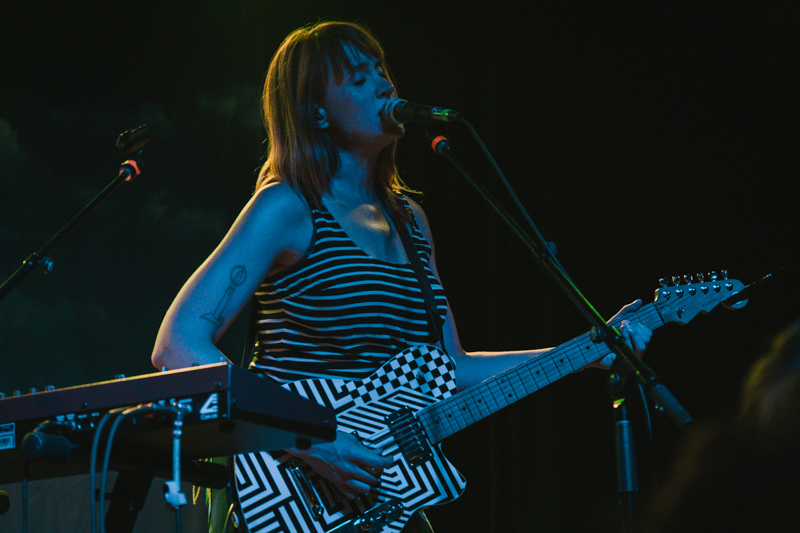 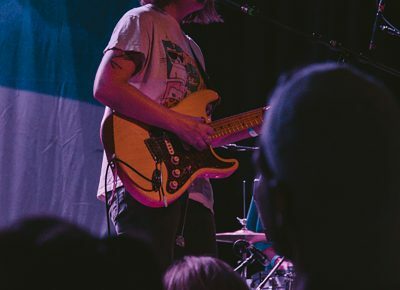 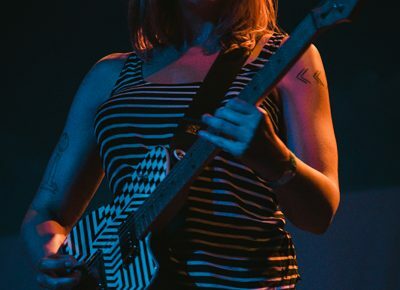 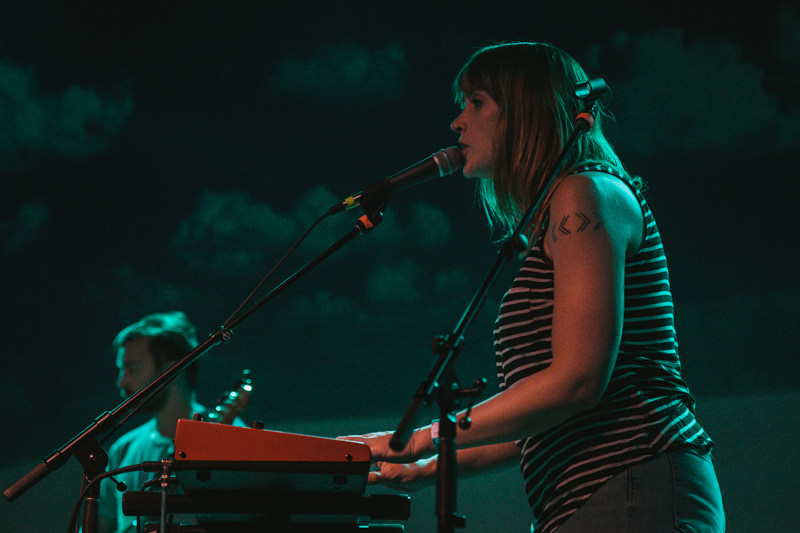 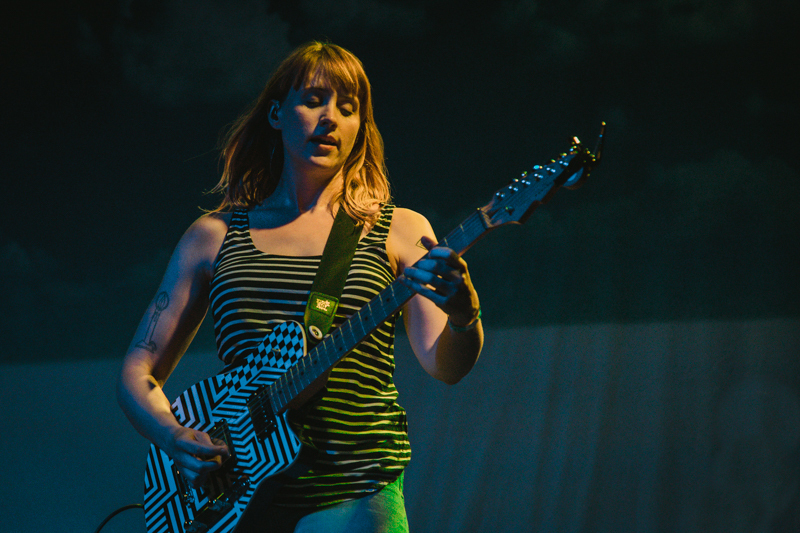 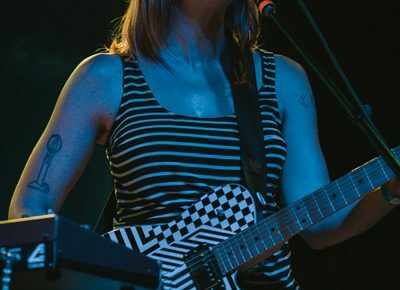 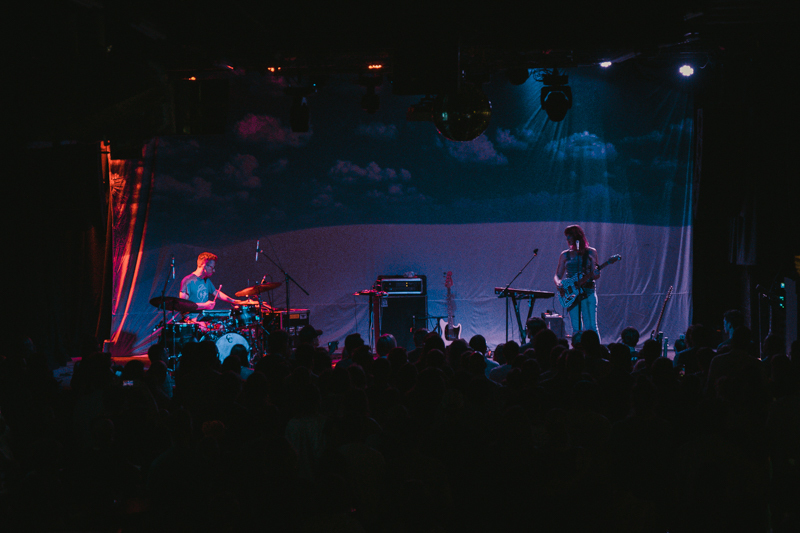 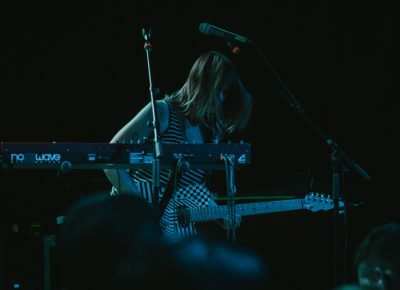 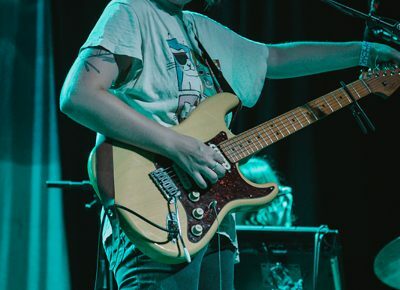 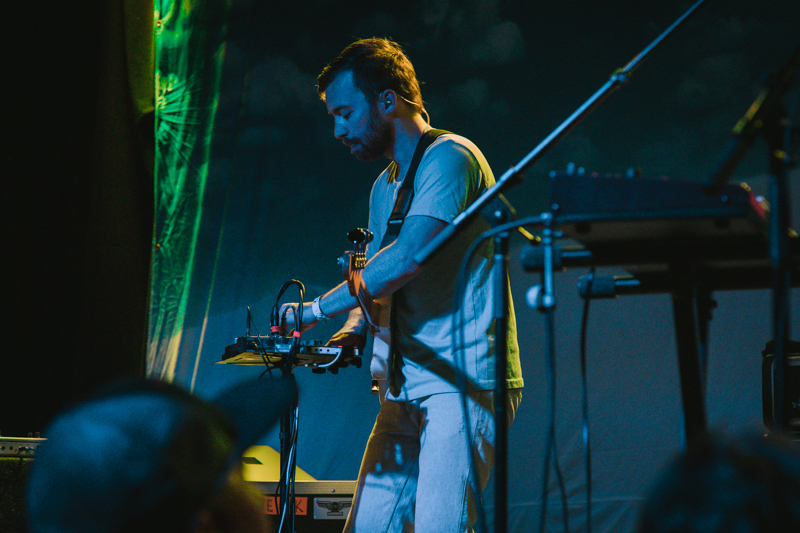 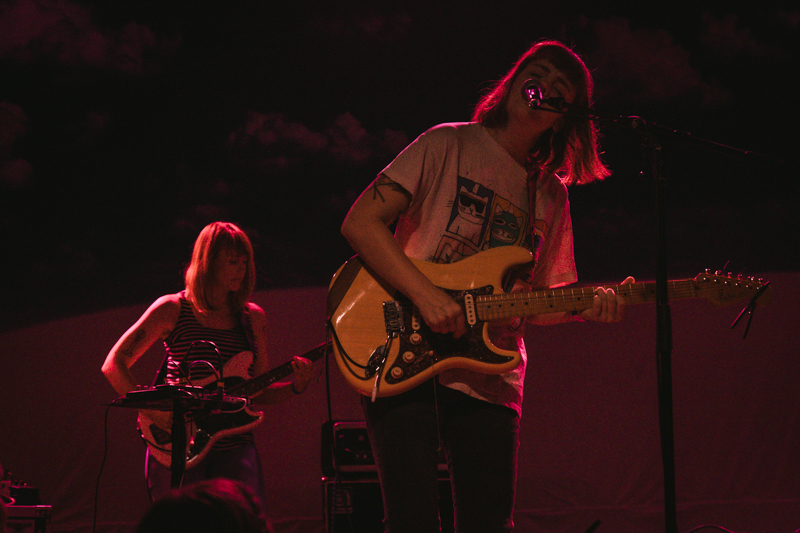 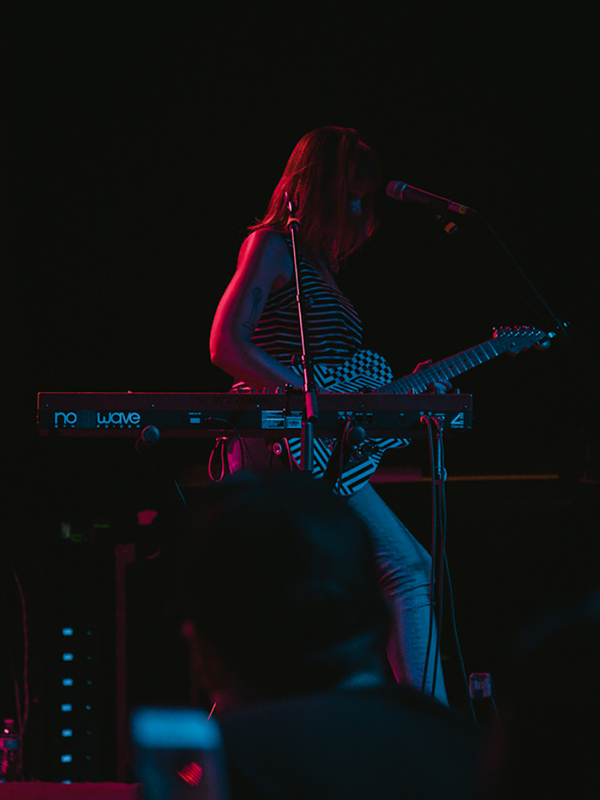 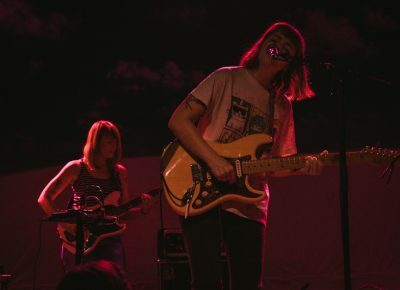 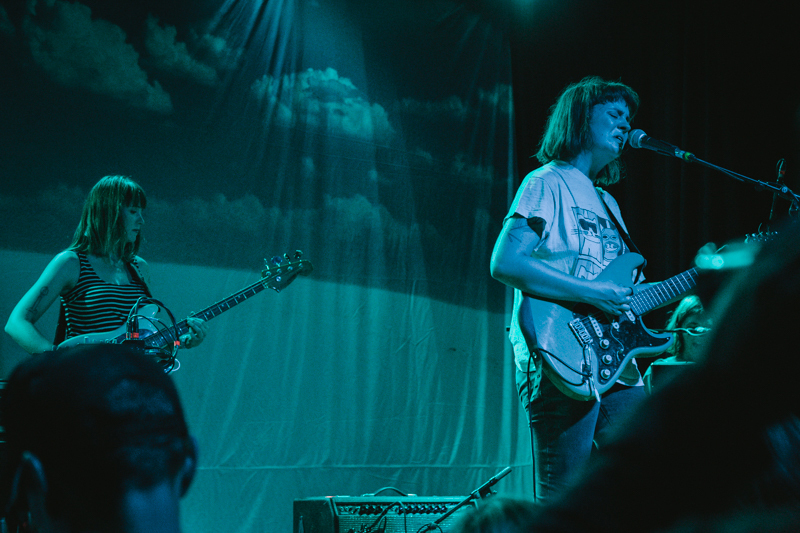 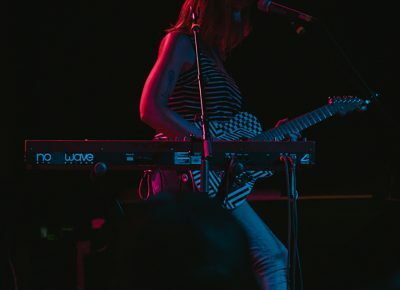 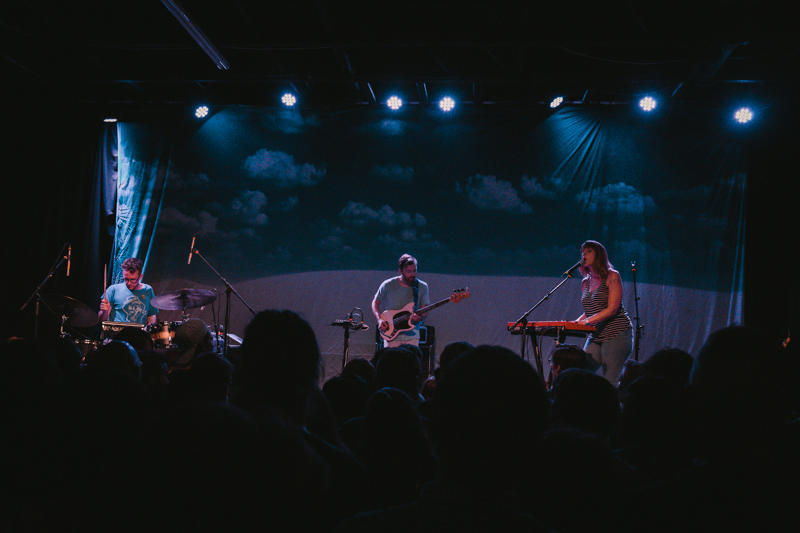 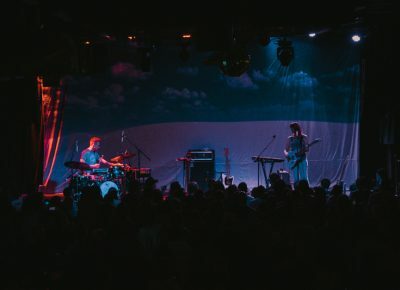 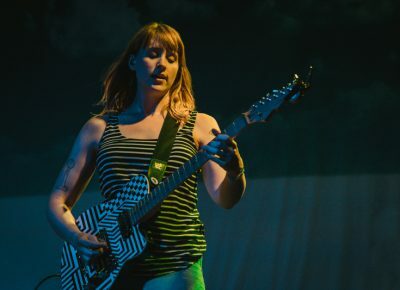 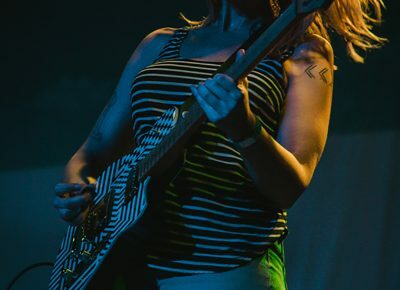 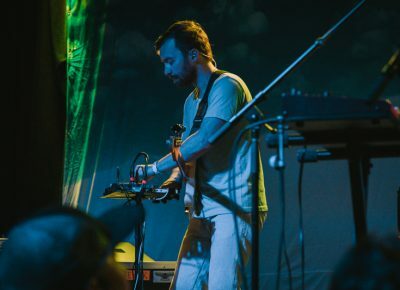 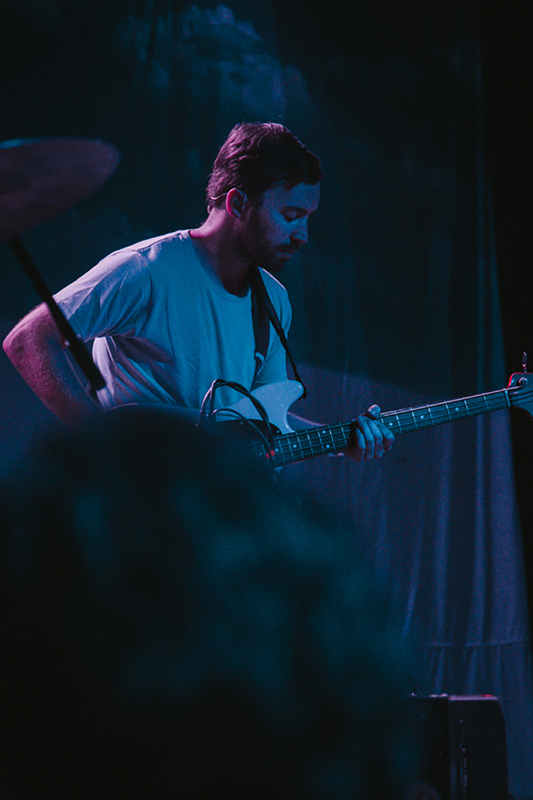 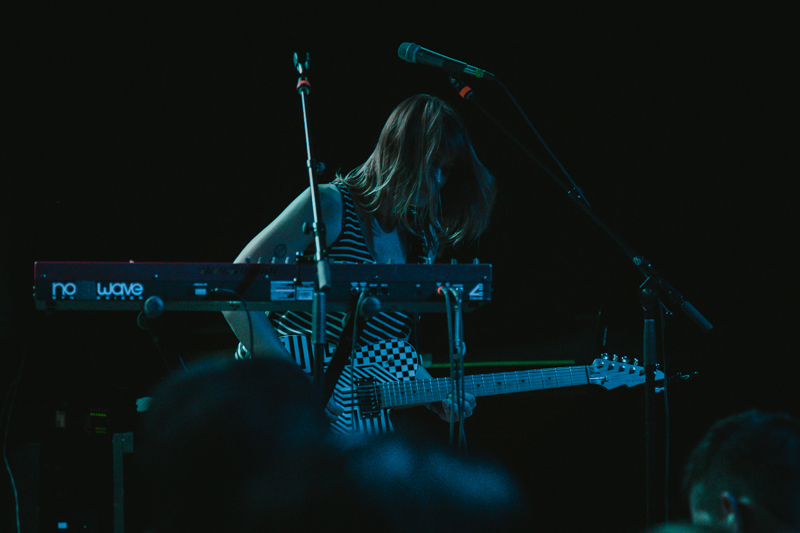 Wednesday night at Metro Music Hall saw an appearance by 10-year tour vets Wye Oak, performing songs from their new album, The Louder I Call, The Faster It Runs. 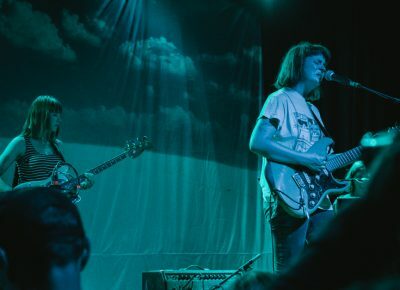 The new album, released in April of this year, is the sixth full-length record released by the trio in just over a decade and builds on the foundation they’ve laid with past albums like Shriek and Tween. 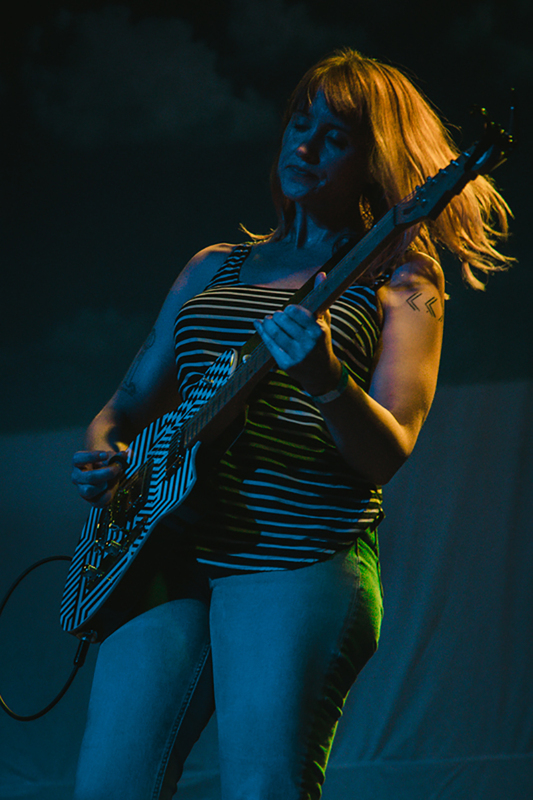 Of course, a group that has been together as long as Jenn Wasner and Andy Stack will naturally evolve and progress over time, but the noticeable sheen of their live performance on Wednesday night, compared to past years’ performances, might be due in part to the addition of bassist William Hackney. 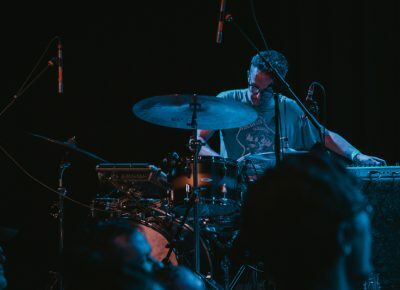 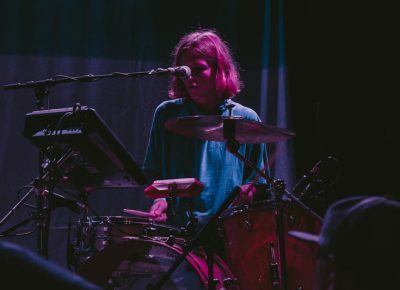 For as long as Wasner and Stack have been performing together, they’ve been doing so as a duo, with Stack playing drums with one hand and operating loops or playing various synthesizers with the other, and Wasner crooning folksy, complex melody lines over guitar, bass and keys. 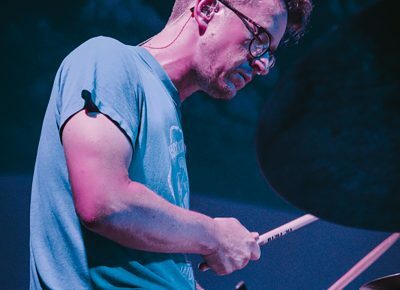 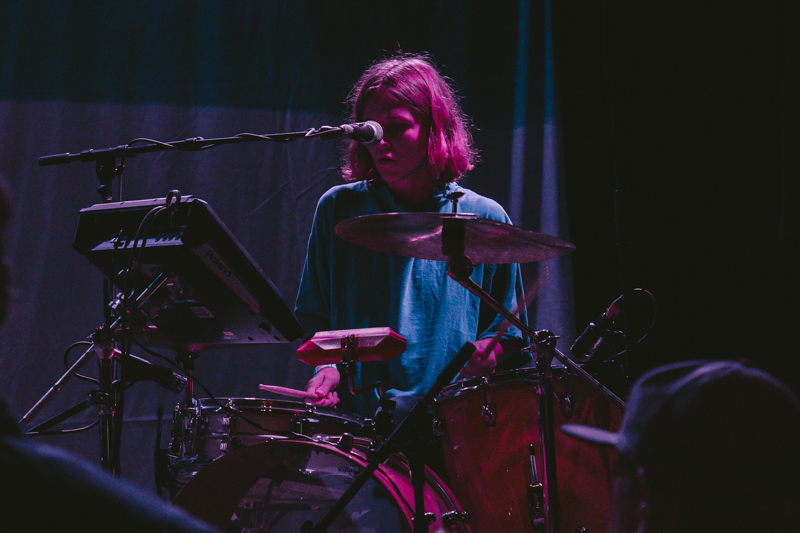 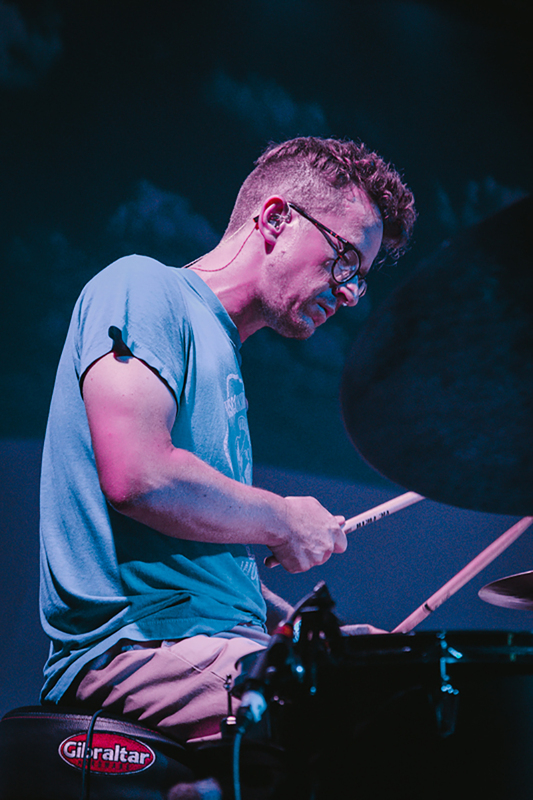 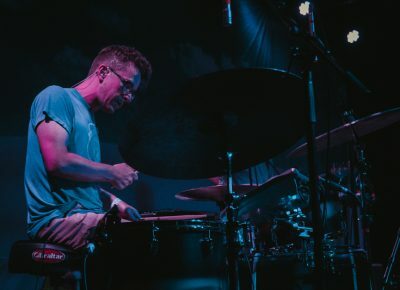 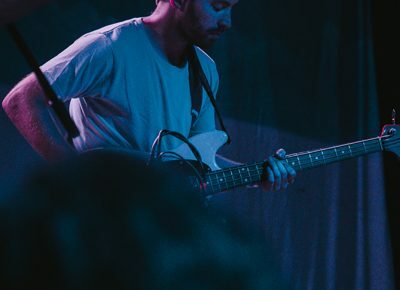 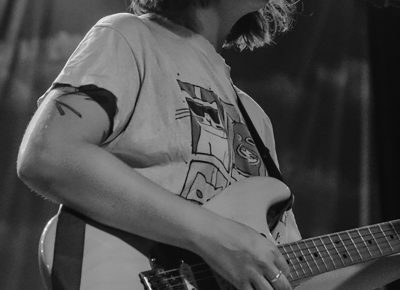 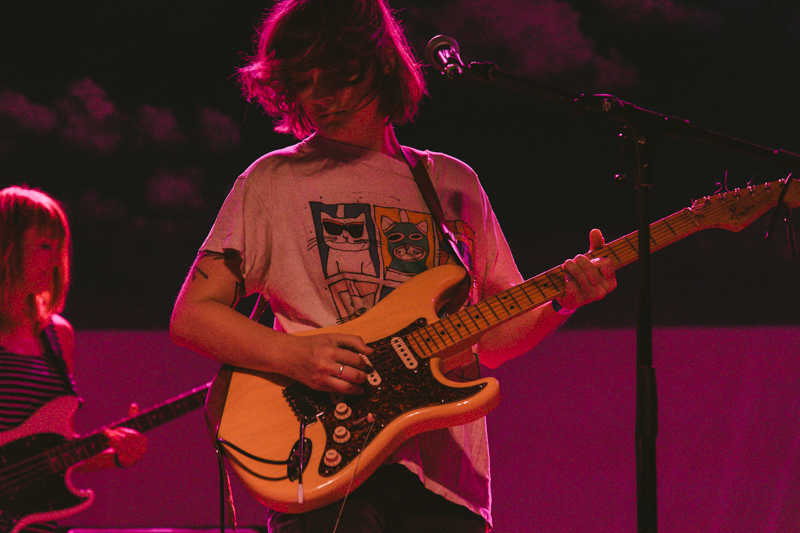 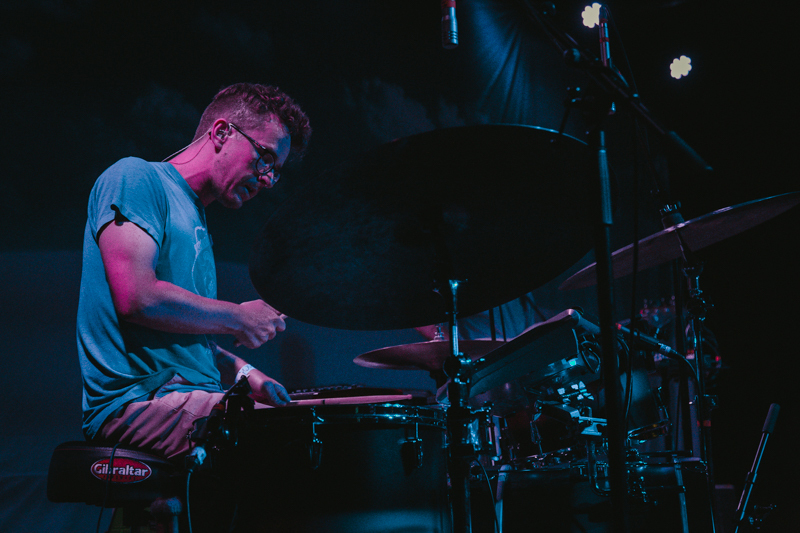 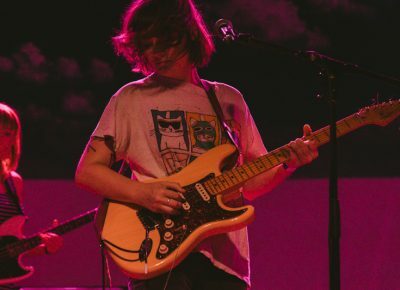 This tour, however, has come with the addition of a third bandmate who, on Wednesday night at least, freed up Wasner to contribute new sonic layers to old songs or to spend more time interacting with the audience. 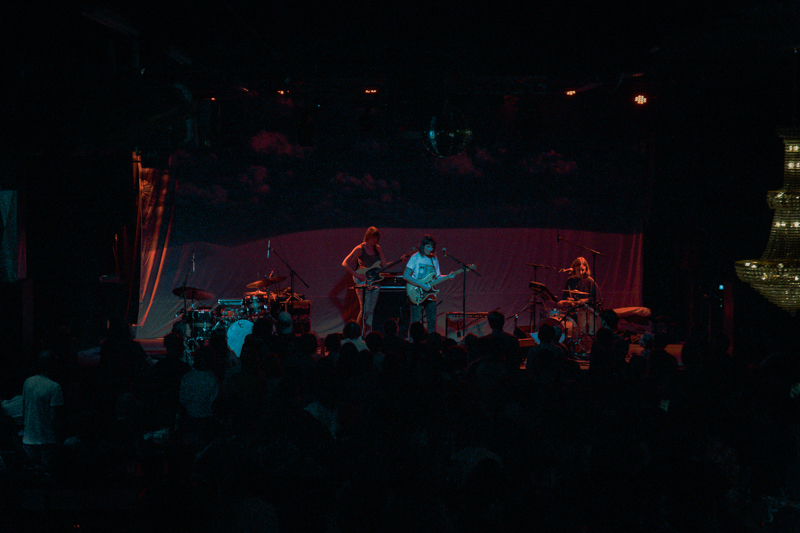 The crowd was in high spirits, too, despite the unusually hot climate inside the venue. 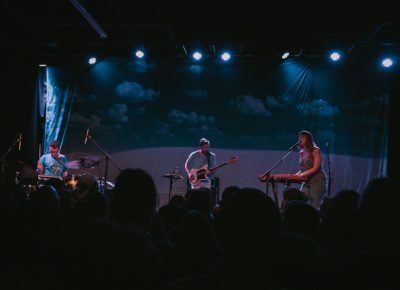 In a rare moment of silence between songs, Wasner commented on the positive energy—“You guys take your woos very seriously around here”—which, in turn, elicited even more cheering. 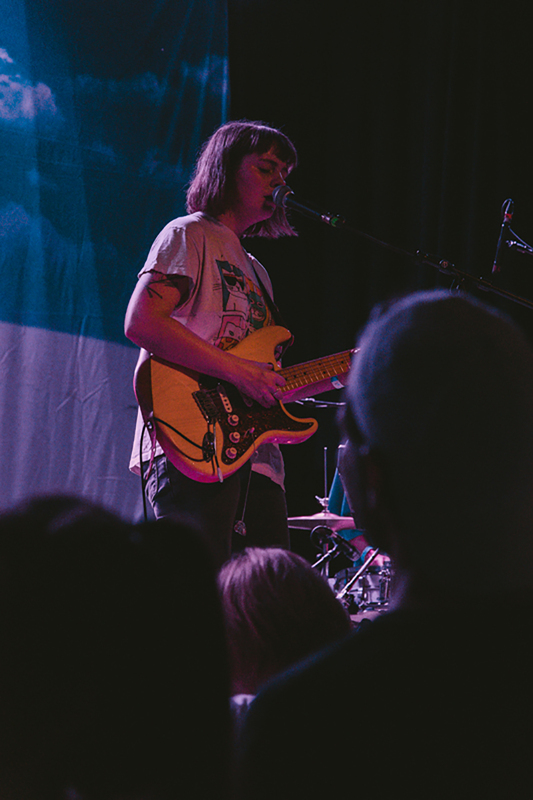 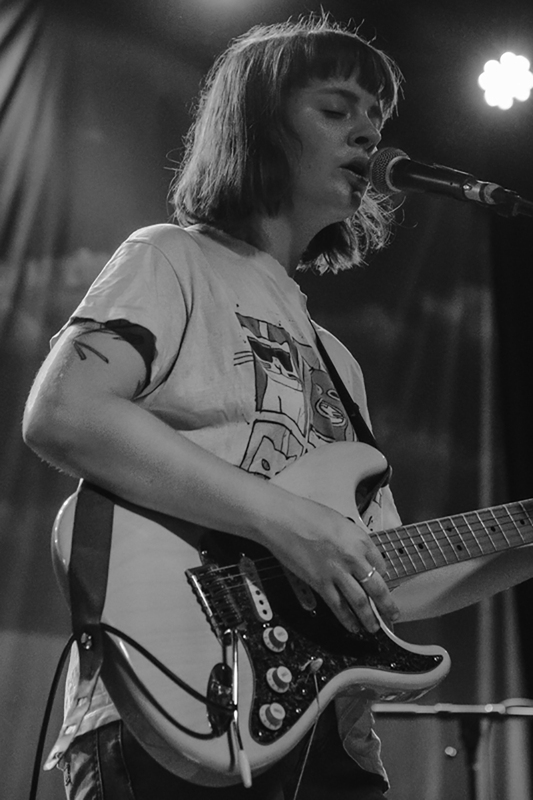 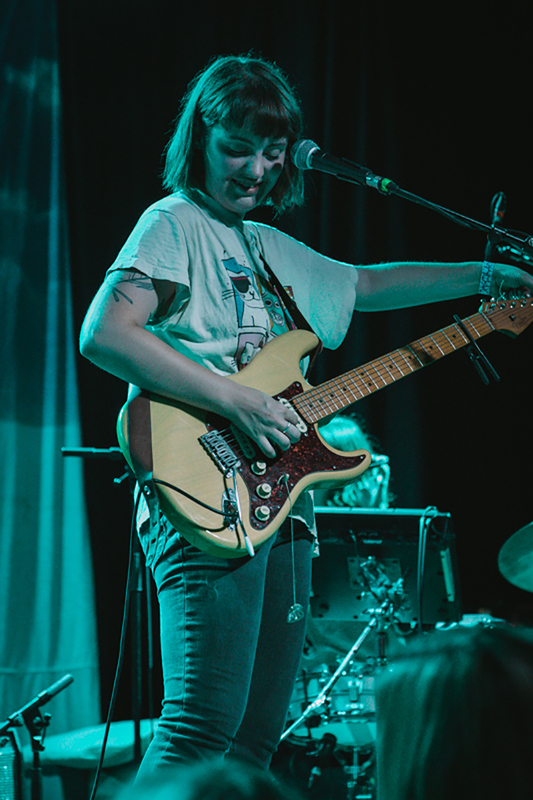 The crowd didn’t seem to be bothered much by the lack of any semblance of cool air either, as a large portion of them showed up early for Madeline Kenney’s opening performance and stuck around to the last notes of Wye Oak’s set. 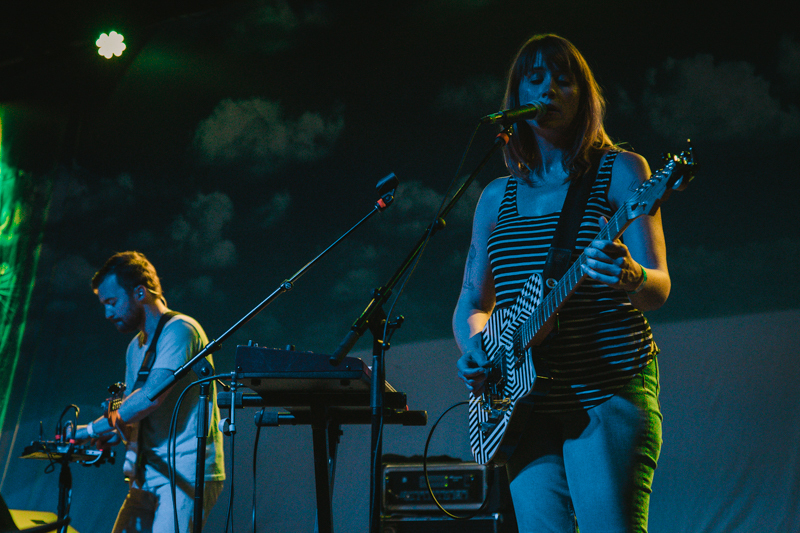 Overall, it was a fun and fresh performance that made for an idyllic summer show.